Winter in Ottawa Ontario can be different every year. Because there is always freezing rain in the forecast for the capital, there will be layers of snow and ice build up on your roof. It can cause structural damage because of the weight. 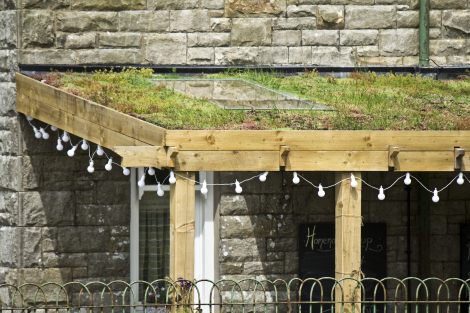 For some time, much of the green roofing solutions being promoted in the construction sector have been at times rather questionable as to their actual green credentials. Green roofs are frequently quoted as the saviour of our urban environment, but when faced with the reality of the broader environmental impact of the plastic trays, felt bases, and granular linings that are used in the installation process, standard green roofing does give way to some eye brow raising questions. As well-intentioned as they set out to be, standard green roofing remains flawed. The good news is that greener alternatives do exist that actually meet the expectations and ideals of the customer.